Marketing Cheltenham member, Cheltenham Racecourse was recently honoured at a top industry awards ceremony. The popular racing venue was presented with a major industry honour at the Conference Awards 2018 and gained recognition in the Best Awards Event category. The venue was given a bronze trophy for the McCoys South West Jump Awards in which the first event was held for the very first time just only last year. The McCoys celebrate achievements, excellence, hard work and dedication in the world of jump racing. Many Racecourse team members attended the event and joined a whole host of industry representatives and fellow nominees at a special ceremony held in the grounds of the Honourable Artillery Company (HAC) in London. Lee Moulson, Regional Head of Sales at Cheltenham Racecourse, said it was a fantastic result for venue. 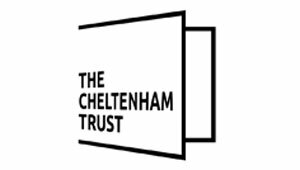 We would like to congratulate Cheltenham Racecourse on their fantastic achievement! Next postCould you be Cheltenham BID’s new Ambassador?